The Baby Jogger City GO i-size Infant Car Seat offers a high level of safety to your little one when venturing out in the car. 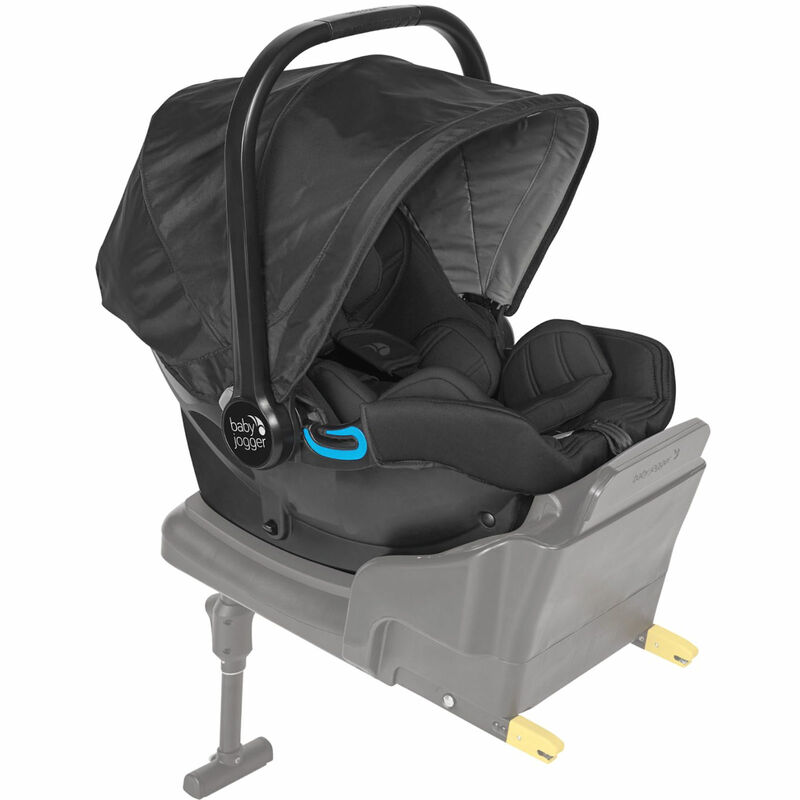 This top of the range car seat is also compatible across a range of Baby Jogger pushchairs, providing parents with a range of Travel System possibilities. Suitable from birth the isofix base (sold separately) provides your car seat with 7 adjustable positions allowing your little one to stay rear facing for up to 18 months creating more peace of mind during journeys. Reassuring impact-absorbing side walls for maximum protection comes as standard as does the 5 point safety harness which automatically adjusts with the headreast as your little one grows. An additional (removable) memory foam head and body insert is included for newborns and smaller babies whilst the addition of a matching large SPF 50+ removable hood means babies receive that extra protection from all the elements. The innovative handle bar has been designed as adjustable, making it easy to use as a carrier. With a stylish design mixed with high quality fabrics, the i-size Infant Car Seat is lightweight and easy to carry whilst maintaining the impeccable safety standards Baby Jogger is famous for.